Recently I asked you what you wanted to see more of on SamanthaBusch.com and you all gave me some great feedback – thank you!! One thing I heard a lot was more recipes – especially healthy ones and something the kiddos will eat too! Well with the summer temps heating up, who wants to spend time in the kitchen (hello, pool!)? 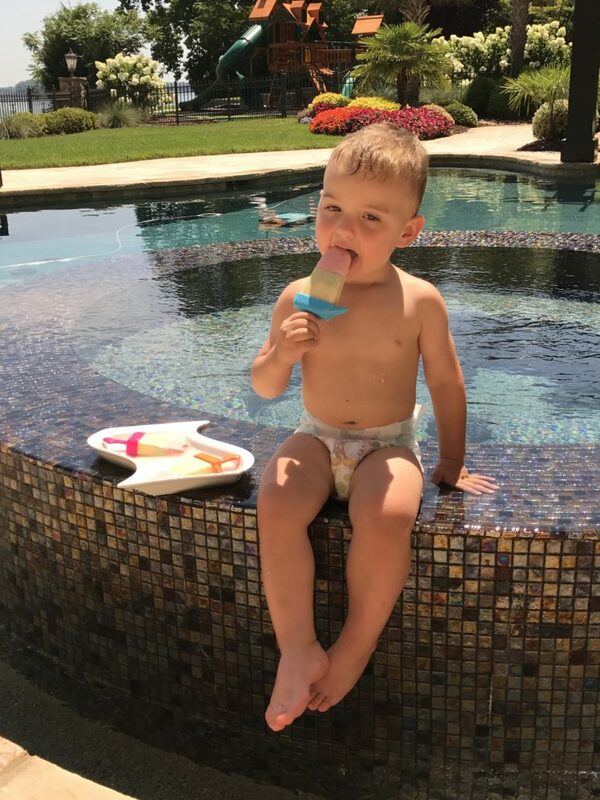 Brexton LOVES popsicles for a cool summer treat, especially when he’s outside running around like a wild man! 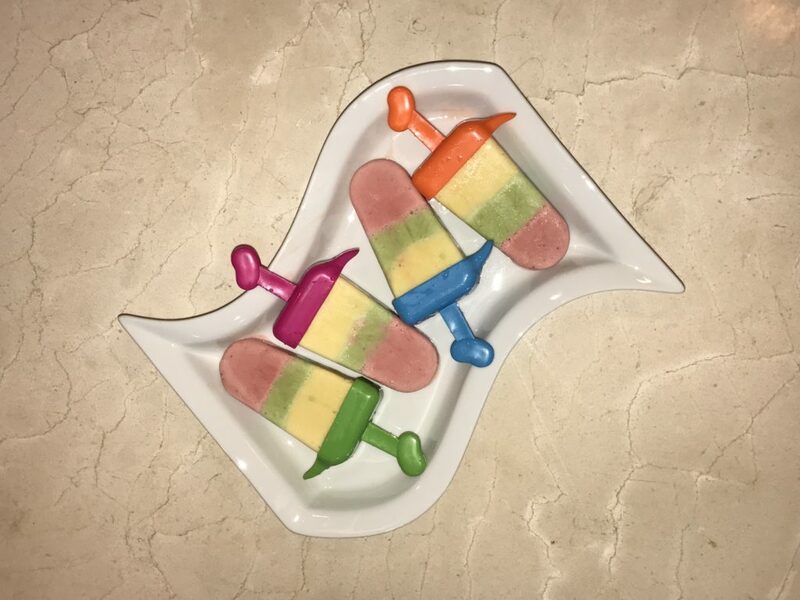 So I created these yummy, ultra-healthy and super pretty popsicles that everyone will love! I love Greek yogurt – it’s my go-to snack because it’s easy, healthy and packed with protein! I started with this as my base and mixed in healthy fruits and veggies – the kids will think they are having a treat but we’ll be loading them up with lots of healthy goodness! Wash all of your fruits and veggies! Slice up the strawberries and cut the mangoes into small pieces. Don’t tell anyone, but I bought the pre-cut fresh pineapple from the grocery store! I don’t have any exact measurements, but I mixed probably 1 cup of Greek yogurt with one cup of fruit for each combo (below) and just added a touch of honey for taste. For the spinach + pineapple combo, I’m not going to lie, it wasn’t my fav combo, so I but a bit more honey (I did about 1 cup of pineapple and 1/3 cup spinach but it still tasted a bit off.) Maybe blueberries and spinach next time? Definitely adjust for your tastes! Throw each combo into the blender until it’s completely blended – it will be a pretty thin consistency when you are done. If you want it thicker, you can just do less fruit. Pour it into a bowl and move onto the next one. Fill your popsicle mold about 1/3 with the first layer and let it freeze for about 20-30 minutes. Layer the next 1/3 and let it freeze again. Top off with the final 1/3 and let it freeze solid. I layered the strawberry, spinach and then mango but feel free to mix it up however you’d like! I hope you and the kids love them – and be sure to share your photos of the kids enjoying their healthy treats this summer! If you have any other healthy kid friendly treats feel free to share them below for everyone!